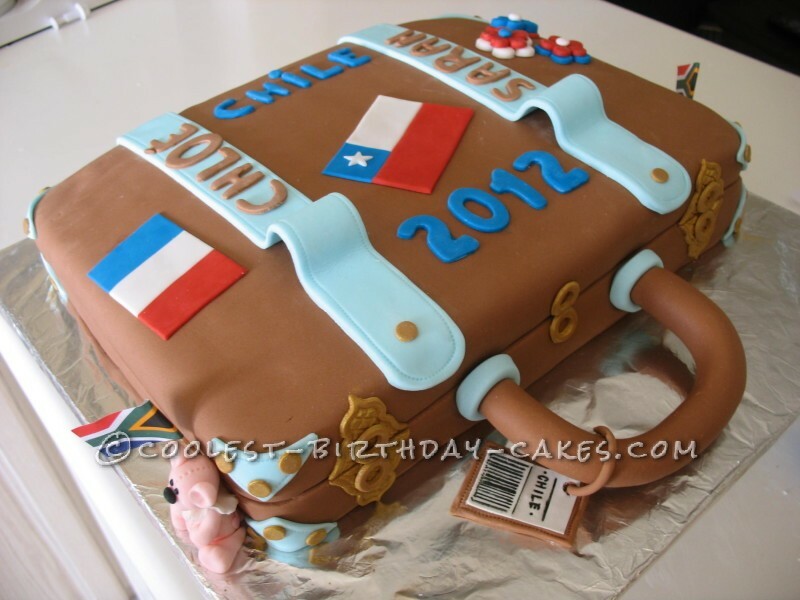 I got a distress call from my hairdresser one Saturday who said another client of his was in dire straits as she was trying to make a suitcase cake for her daughter who was leaving for Chile along with another schoolmate. I responded to the call and said she was welcome to come over on the Sunday morning and that I would help her. What a pleasant woman! We had such fun and I absolutely loved her French accent. 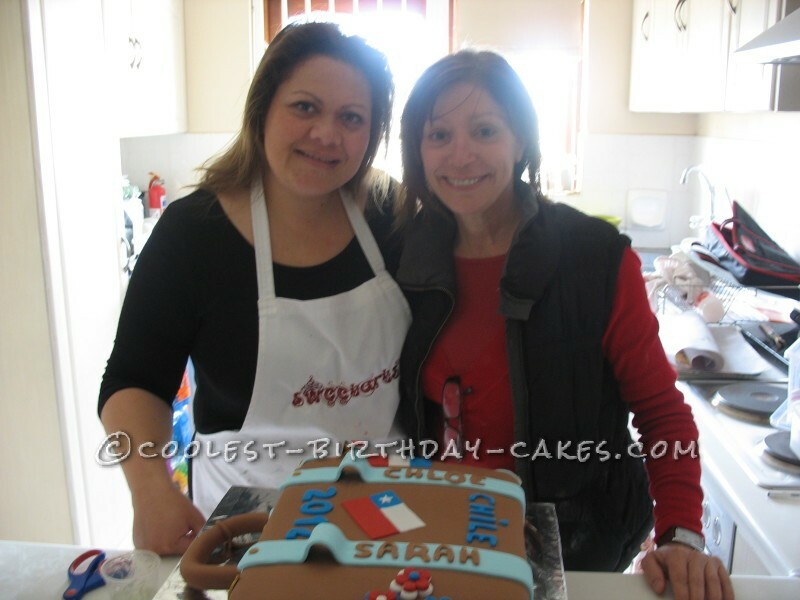 She had bought so much equipment for this task, the labour of love she was going to do for her daughter She also baked her own cake, which she said she had baked twice over, as she kept on messing it up trying to put the fondant on. So we went about coating her cake and mixing brown fondant to go over. She couldn’t believe how easily I covered the it and how quickly the process was going up to that point. 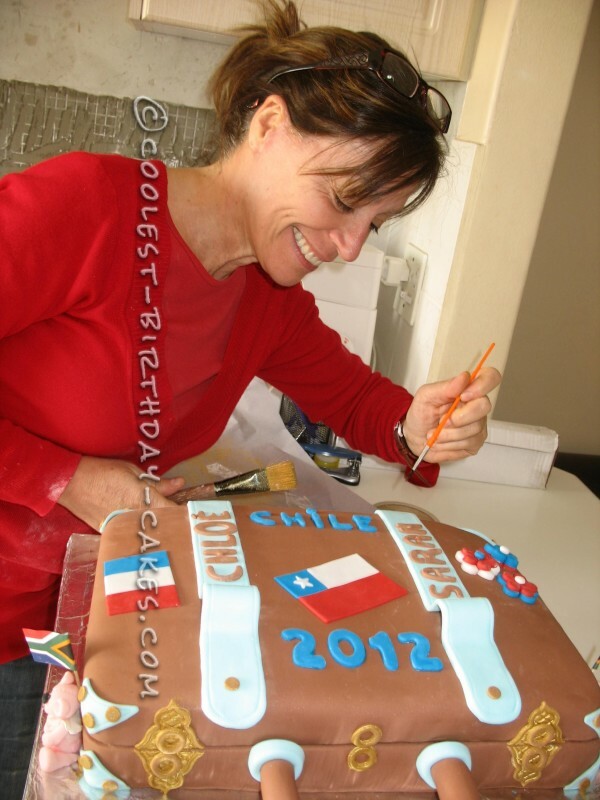 Then came the decor, which obviously was a longer process but she was super happy with my ideas for making the flag – especially the Chile flag – just cutting the shapes and fitting them together. I cut the locks with a Moroccan cutter and painted it a dull gold, which astounded her. It thrills me to see how people who are not focused on making cakes are amazed by the neat little tricks!